Guedes (Ph.D. ’78) is currently under investigation for corruption. He is alleged to have mismanaged over 1 billion reals (267.7 million USD). 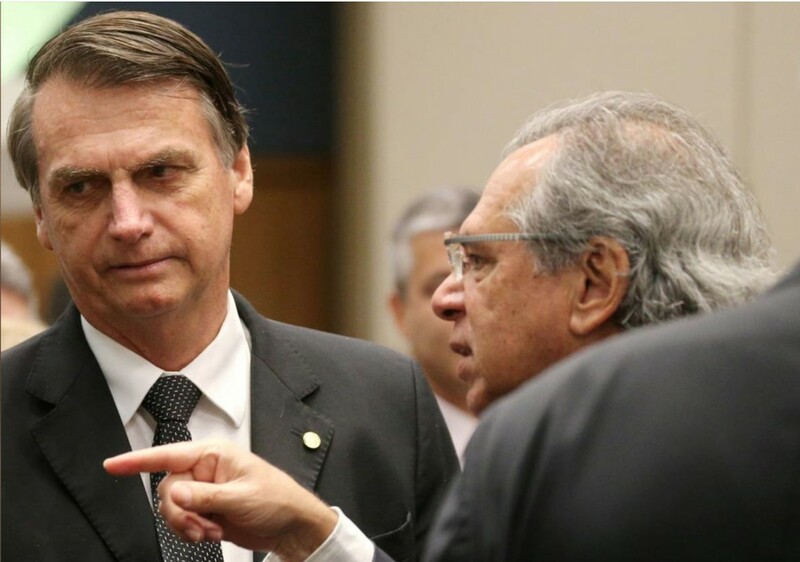 Paulo Guedes (right) speaks with Jair Bolsonaro, the frontrunner in Brazil’s presidential election. Last year, Jair Bolsonaro, the favorite in Brazil’s presidential election, made the surprising move of selecting UChicago alum Paulo Guedes (Ph.D. ’78) as his chief economic advisor. ­Guedes is now under investigation for corruption unrelated to Bolsonaro’s campaign. The pairing seems odd at first—Bolsonaro is a populist, conservative, former army captain with dictatorial tendencies, while Guedes is an outspoken neoliberal financier. In the beginning of his campaign, Bolsonaro seemed to have little economic knowledge, so his economic proposals made little financial sense. However, Guedes has since redirected the campaign’s proposals to recognizable free-market policies, making the campaign palatable to many more Brazilians than before. In addition, Guedes seeks to cut taxes and spending across the board. With many in the business community rallying around Bolsonaro for proposed tax incentives, others are skeptical of Bolsonaro’s ability to keep such campaign promises. He consistently voted against tax cut proposals when he served in Brazil’s legislature. In response, many of his supporters point to Guedes, claiming that he has successfully refined Bolsonaro’s audacious goals and made them more acceptable to the Brazilian public. Earlier this week, Brazilian prosecutors began investigating Guedes for allegedly mismanaging over 1 billion reals (267.7 million USD) that were deposited in his investment vehicles by public pension funds. This is the first major corruption investigation involving anyone in Bolsonaro’s inner circle, and the candidate is fervently dismissing the investigation after centering his campaign on being an outsider free of corruption. Nevertheless, if the election proceeds as scheduled on October 28, Guedes, who is currently under investigation for fraud, is likely to become Minister of Finance and bring abrupt change to a country currently dealing with a litany of financial challenges.